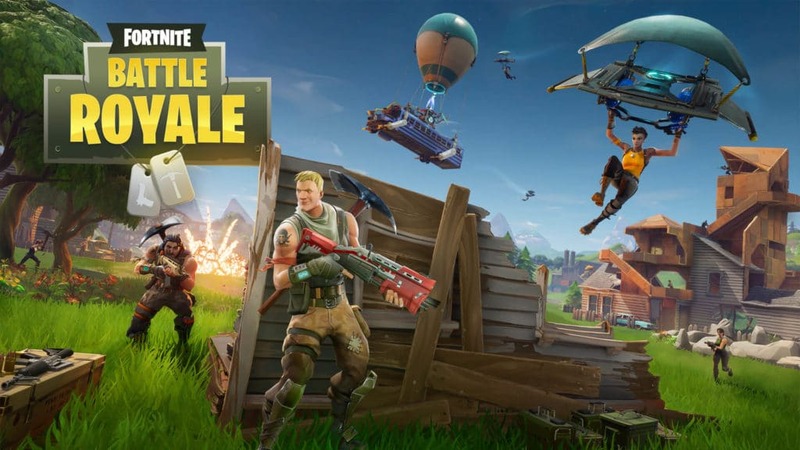 Has it truly been only a few months since Fortnite, the massively popular battle royale video game, entered our lives and living rooms? In that time, the game has become a cultural phenomenon — it is, in fact, the most popular free-to-play console video game in history – and a massive scourge on society in the eyes of many parents and educators. Articles and memes about Fortnite addiction have already appeared, and it’s next to impossible to utter the word “Fortnite” in a group of parents without receiving an eye roll, exasperated sigh, or earful in return. But while the game, on its surface, looks to be nothing more than a cooperative first-person shooter game, it’s actually encouraging the growth of four crucial 21st century competencies: collaboration, critical thinking, creativity and communication. More than a decade ago, the National Education Association helped establish the Partnership for 21st Century Skills. The effort was fueled by increasing recognition that the skills educators once focused on – the so-called “Three Rs” of reading, writing and ‘rithmetic – were no longer sufficient. To thrive and compete in the global economy, students must also be able to collaborate and communicate. Critical thinking and creativity are essential skills as well because in a world in which nearly all knowledge is available in an instant, what matters most is one’s ability to evaluate and combine that knowledge. In time, the constellation of collaboration, critical thinking, creativity and communication became known as “the Four Cs,” and educators nationwide have devoted a lot of time and energy into figuring out how to teach them to today’s students. With mixed success. When my son plays Fortnite, he’s developing highly marketable skills. If you think that’s hyperbole, consider the fact that large companies consistently rank “collaboration” and “teamwork” as “very important” or “absolutely essential” on surveys measuring the importance of various employability skills. Already, it’s incredibly common for project teams to collaborate virtually, via headsets and video chat; people who have never met in person often work together to achieve a common goal. And despite the many disparaging remarks people make about video game play, there’s evidence that skills developed during game play transfer to the broader world. A 2017 study published in the journal Computers and Education randomized college students to either play or not play a variety of commercial video games, including Minecraft, Borderlands 2, Laura Croft and the Guardian of Light and Gone Home, for a total of at least 14 hours over an eight-week period. Students who played the video games scored higher on measures of communication, adaptability and resourcefulness than students who did not game, and the gamers’ abilities increased beyond their baselines scores as well. Of course, most Fortnite fanatics will play far more than 14 hours in eight weeks; that’s less than two hours per week, and it’s not unusual for a Fortnite player to put in two hours in one sitting. So yes, there’s room for improvement. Kids – just like adults – need time outside, in motion and away from screens. They need to have face-to-face conversations as well as plenty of time to sleep, think and ponder. They can’t find that in Fortnite. But Fortnite is not a waste of time. Have to agree with you. Have observed the same with my 12 year old when he plays Fortnite. If he is playing with close friends, I’ve also heard them confiding in and supporting each other on other things going on in their lives. They don’t get much time to talk, socialize, and connect in school. This is not a bad outlet. I agree it’s not a waste of time, but aren’t there other, age-appropriate ways of engaging our youth while simultaneously tricking them into nurturing these greatly lacking collaboration and leadership skills that don’t involve staring into a device, unplugging themselves from others around them, and silently becoming desensitized to gun-on-human violence? Tried and true team sports and performing arts come to mind. I like stimulating, engaging, violent video games, but I am no longer an impressionable adolescent. This is _not_ the time in history to be remembered as defending violent video games and especially not empowering parents and teachers who do not mediate intake to an age-appropriate level.